I’m happy to announce that my composition “Song of Songs” from the upcoming trio album is released on the Japanese Jazz compilation album “For Jazz Audio Fans Only - Vol. 6”. The compilation album is released for the Japanese market only. This is excellent promotion for the upcoming album! 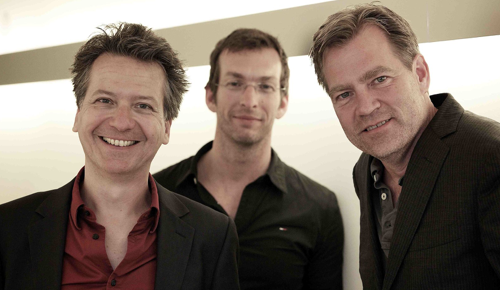 Here’s a short video compilation of concert of the Wolfgang Maiwald Trio at the Concertgebouw in Amsterdam during the Uitmarkt 2013. 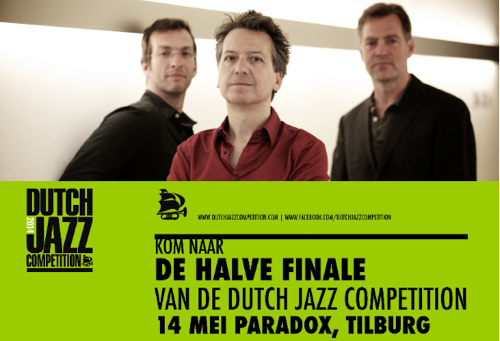 I am proud to announce that my trio made it through the Semi-Finals of the Dutch Jazz Competition 2014! The Dutch Jazz Competition offers talented Dutch jazz musicians the opportunity to present themselves to a wider public, the press and the music industry. The Dutch Jazz Competition is therefore an important stimulus for the career of the participating musician. The competition is initiated by North Sea Jazz Festival, Nederlandse Toonkunstenaarsbond, NTR, NVPI, Wereldomroep and Buma Cultuur. Press the buttons below to by on iTunes or to order the physical CD. Press the button below to order a physical CD. I’m proud to announce the release of the second album with my trio, the Wolfgang Maiwald Trio, entitled The Silent Ones. The album is released in the Netherlands and in Japan and is available in the Dutch record stores and on iTunes, Spotify, BandCamp, CDBaby and Amazon. You can also order a copy of the album directly on my site. Click the player to the left to take a listen. I’m proud to announce a whole-page article in the renowned Dutch jazz magazine Jazzism. The article, featuring an interview about my new album and my view on music is titled: ‘Silent side comes to life’. Click on the image to read the whole article in Dutch. Enjoy! The official album release concert of the new album ‘The Silent Ones’ on September 21st at the North Sea Jazz Club in Amsterdam, The Netherlands was a big succes! We had a full house, nice crouwd and very nice atmosphere and performance. Check out a couple of videos from the concert. I’m proud to announce that I will be playing with my new funk-jazz project TRUNK. at this years Amsterdam Uitmarkt. We‘ll play a half hour showcase on one of the main stages, the ABN AMRO podium on the main square, the Museumplein, on Sunday August 30th from 14:30 - 15:00. Check out our video and SoundCloud below! Together with singer/writer Patrick Verheij I have been working on a special musical project incorporating Syrian musicians coming to Amsterdam as refugees. It has been a very special experience working together, talking and listening to their stories. I’m honored and proud to be part of it and to show the result to you. The song is a call for mutual understanding and respect and an attempt to encourage the dialog in times of separation and fear. If you like the song please share it with your friends. You can help us create more projects by downloding the song on iTunes. 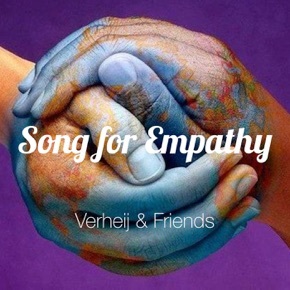 ‘Song for Empathy’ is also available on Spotify, CDBaby and BandCamp. 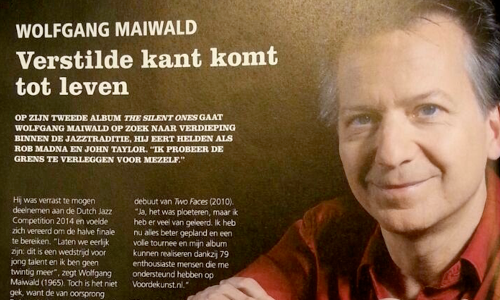 “The new album ‘The Silent Ones’ prominently places Maiwald and his trio on the map in the Dutch and International jazz scene." I accompanied singer Rose Spearman on the radio program Volgspot on Dutch radio NPO Radio 5. We played for songs in total, the last one, ‘What a Wonderful World’ was recorded on video. Listen to the whole radio program here, with interview and performances at 0:28 and 1:26 hours, enjoy! 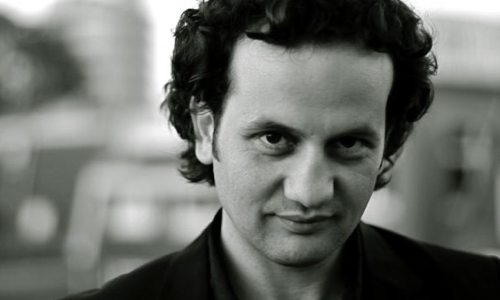 On Monday 19th I’m invited to play with Turkisch jazz singer Yasam Hancilar and bass player Gerco Aerts at the Bimhuis, Amsterdam, joined by Joan Terol Amigó on drums. BIMLAB is an impro series in the BIMHUIS café with unexpected musical encounters. We had a blast playing at Culturele broedplaats MESS in Harderwijk past Sunday. We had a nice crowd and good vibes. Check out this little impression of our concert. 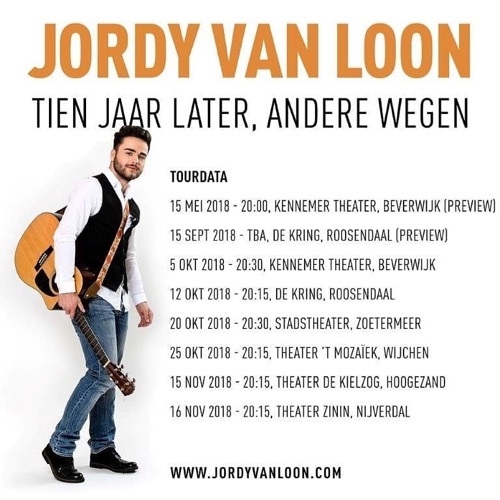 This fall I’ll be accompaning singer Jordy van Loon with his new Theatershow 'Tien jaar later - andere wegen'. Check out these bits from our try-out show at the Betty Asfalt Complex in Amsterdam.